﻿ Bellagio Hotel, Las Vegas (NV) | FROM $132 - SAVE ON AGODA! 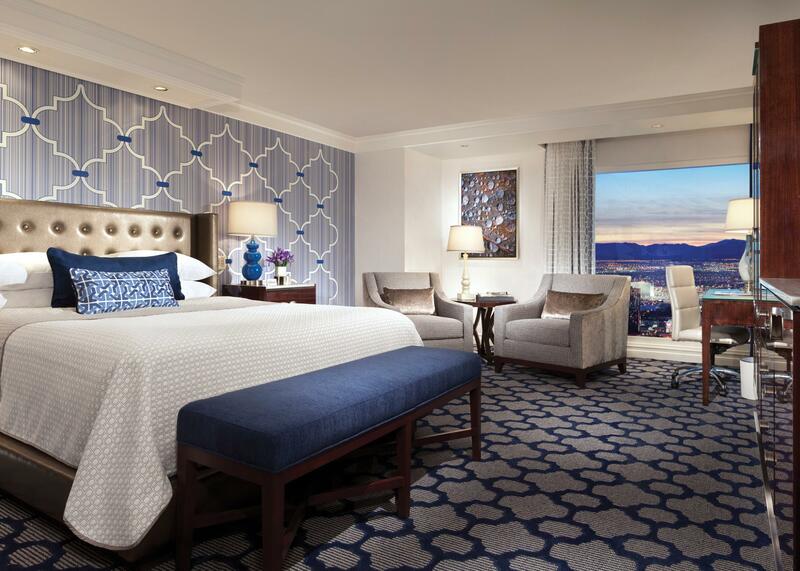 "Fountain view room was great"
Have a question for Bellagio Hotel? "Good location, pools beautiful, pool staff very good flowers were gorgeous throughout hotel." 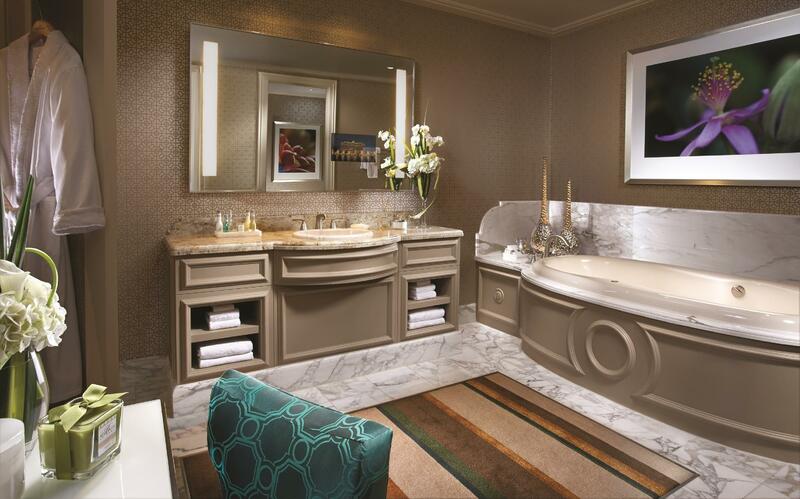 "Stunning Room and Bathroom- sumptuous beds." "Great hotel with an amazing and incredible lobby." Bellagio Hotel, inspired by the villages of Europe, is a grand accommodation overlooking a blue lake in which fountains perform a magnificent ballet. This property is something of a landmark in itself and is located three minutes away from the O Cirque du Soleil, five minutes from the Bellagio Hotel Casino, and five minutes away from Paris Las Vegas. Facilities and services are of the highest quality and include a nightclub, 24-hour room service, facilities for disabled guests, and laundry service. A gorgeous pool provides some recreation, and so too does the steam room, fitness center, and hot tub. 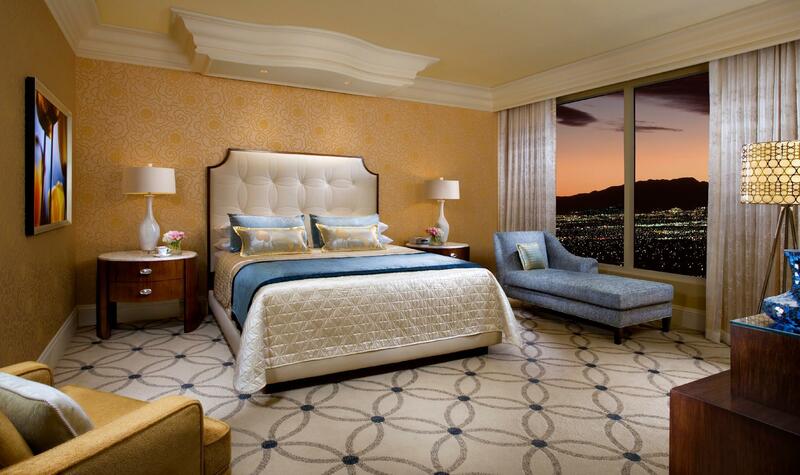 It is undeniable that a stay at the Bellagio Hotel would truly be the best way to experience Las Vegas. "Comfortable rooms, excellent location and professional staff..."
Two pets weighing under 40 pounds combined are allowed at the property for an extra charge of USD 120 per night. Great location on the strip. Needs to update charging facilities. A docking station so you only need lightning cable would have been easier in the rooms. No many accessible power points if you have short cables. Being able to access a shelf in the bar fridge would also have been helpful. Amazing hotel with excellent facilities and shops. Water fountain show is a bonus. Staff were very friendly, rooms were clean with world class casino. Thank you, we had an awesome time. Refreshments in the mini bar in the room are mind blowing expensive! Better take your own fridge as you can't even but your own water etc in the fridge without a charge ha! Other than that the hotel is mind blowing. 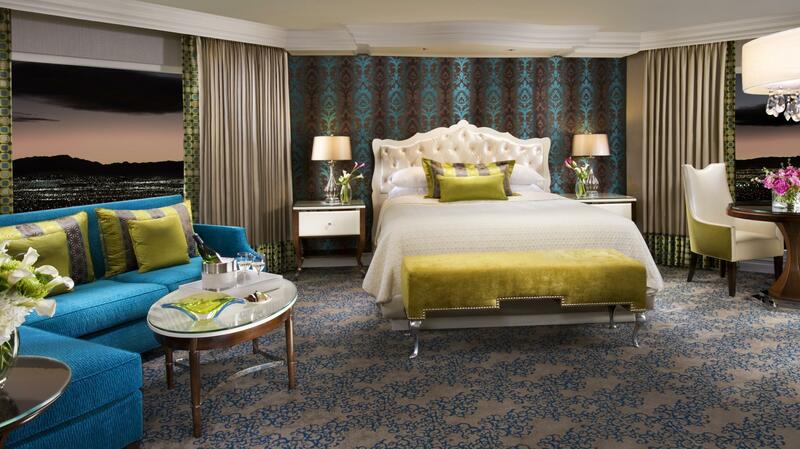 The Bellagio is very central and rooms are really nice. Most customer service was really high quality. We really enjoyed our stay there until check-out when we were told we had to pay an extra $40USD per night for resort fees (use of the pool, fitness centre, Wi-Fi etc). This is mandatory for all hotels on the strip so be careful! It is not included in your booking on any website. The manager we spoke to was very rude about it and that was the only negative customer service experience we had. No one had told us anything about these fees until check out and there's no way of getting out of them- so add $40usd to the price of the room per night on any booking website and that is the real price. We loved being in Las Vegas and the bellagio was central enough for us to walk to most places. It also has one of the nicest casinos on the strip, and had an incredible Christmas display in the indoor garden area. Doesn’t live up to its hype. Cold reception. Restaurants are expensive but food is not that good. Room facilities are not equal to a 5 star hotel. Room is far more different from picture Agoda confirmed to us on website. Only location is good. I was excited to stay at Bellagio and it did not disappoint - I had amazing and direct view of the renowned fountains. The lady who checked me in was the sweetest and friendliest. Unfortunately, there were a few kinks that affected my experience. Firstly, I’d been to many hotels and this was the first that quoted me almost $36 when I requested for a hot water kettle. That aside, when I called to accept an offer to extend my stay, the lady who answered my call said I will have to look for the person who made that offer to me - I had to waste time queueing (again), showing email threads etc to validate the offer that was quoted to me earlier on - internal communication and guest service could be improved. We had a terrible experience with Bellagio. Everything else ok but checkin was a nightmare!!! After travelling for 24 hours to get there we where faced with horrendous queue at checkin. Standing in line for over 45 minutes. If the line moved it may have been ok but they had people standing in front of one receptionist for over 1/2 an hour. No one talking to the queue explaining they were short staffed it was so frustrating. Then they said they would give us $35 drinks credit which they never applied on our bill. I used express check out so couldn’t argue the point because there was no way I was going through that hell again at checkout. We noticed the checkin line seemed that long the whole time we were there. They used the excuse they were short staffed but it seems to be a permanent arrangement. Left sour taste. Our stay at the Bellagio was fantastic and enjoyable. Unbelievable hotel the room size and quality. The swimming pools are super huge and areas to relax and enjoy. Look forward to staying again and again. The bathroom could have been improved with new towels. There should be a handrail in the shower cubicle. These minor details could have made our room even better. The beds were marvellously comfortable. We were extremely satisfied with our accommodation, and the range of services available to us in the hotel was very wide. The staff were wonderful, and we never had cause for complaint. Thank you for a wonderful holiday. Was excited to stay at the Bellagio but this quickly turned to disappointment when I found that there was no coffee/tea making facilities, the view from the 27th floor was of the freeway and the refuse facilities and the minibar was charging $10 for a small water! The resort fee was over $44 a day for the use of internet which is the only useful item included!! I will never stay here again, not a hotel that cares for its guests, only what they can squeeze out of your wallet! Bed, bathroom and room very comfortable. Hotel was quick to respond to issues as once we came to our non smoking room in a non smoking tower it was evident the room had been smoked in. hotel well run, lots of staff and security . Common areas a little too crowded for my liking. I would stay in a calmer hotel next time where I could get to my room quickly rather then walking what felt like 1/4 of a mile to get to the elevator to take me to my room. It was great to stay at Bellagio Hotel everything was fantastic. However, hair dryer in our room was pretty dirty. Sticky and someone's hair everywhere. Ended up getting replaced. Apart from that awesome. Was top notch service when we walk into the lobby. We checked in during peak hours and thus there was a long queue. Lobby staff were helpful telling us we can do online check-in in order save time for the express queue. 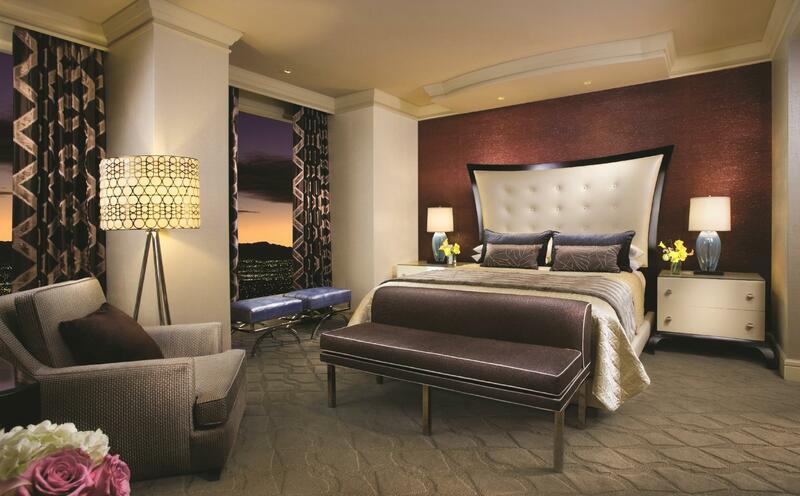 Room has a beautiful view overlooking LV Boulevard and Paris Paris. Room was pricy but definitely well spent for the room quality and service. If you have time, make sure you dine at Picasso which has a fantastic view of the Bellagio fountains !